Going all out from the start! It isn’t often we underwhelm a customer but once in a blue moon I submit a design that doesn’t achieve what our customer is looking for. A recent project is a good example. Two factors influenced my design. One was the work we had done for them previously and the second was a concern for their budget. 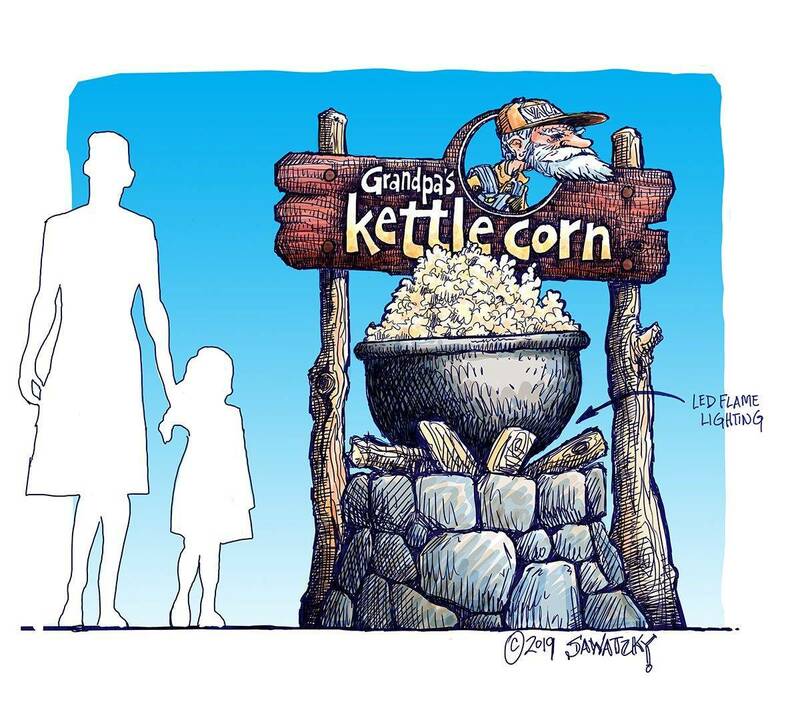 The project was the rebranding and main sign of a small campground. 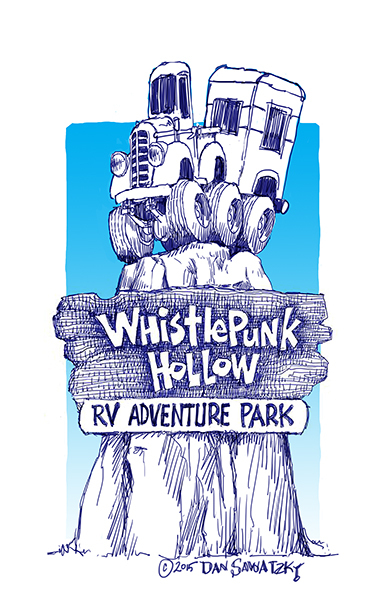 We had built an adventure golf for them two years ago called WhistlePunk Hollow. 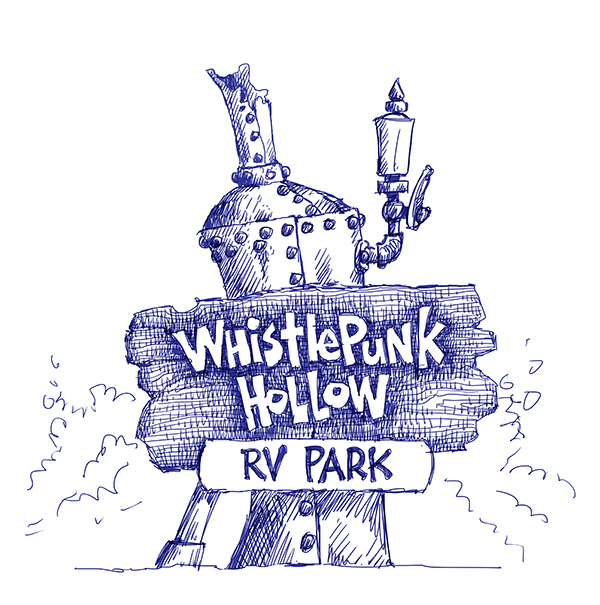 Now they were switching the name of their campground to suit. I drew up a design of an old boiler of a steam donkey and attached their sign to it. The customers liked the design but wanted more. They encouraged me to go all out. It had to be in keeping with the theme of the work we did two years ago but it also needed to say CAMPING in a visual fashion. I went back to the drawing board. The area is famous for it’s rock climbing so it needed a giant rock face… then I imagined a 1930’s four wheel drive up on top with a camper trailer in tow. The client loved it! Lesson learned. Go all out right from the start. This would be FUN!